Ooh. I watched the US Open today. I feel like Serena was not robbed, she was disrespected. This feels like Janet Jackson’s wardrobe malfunction, where a white man did something he wasn’t supposed to do and an incredible Black woman gets shamed in front of a massive audience. It’s shame. Shame when you ban a player’s functional outfit that fits her incredible black body, when you make the best athlete alive wear a skirt. Shame when you beef with her over her coach’s actions. Shame when you punish her in a measure incongruent the US Open. Shame when you distort the first major victory of Naomi Osaka (the first Japanese player to win here, in a championship over an idol) with unnecessary drama. Serena was so clear each step of the debacle: this is wrong. She had a right to be mad, she was up against a worthy opponent and struggling. And she’ll be fine, she has saved her own life, she has forged her own path many times. Osaka will also be fine, she’s an incredible player and I wish her all the unmarred victories in the world. Who/what may not be fine is the US Open itself. The US Open needs to catch up with the race and gender dynamics of their victors. Real adult women are emotional under the pressures of the game, just like men players. A Black woman’s rage at being insulted is not irrational. If you don’t evolve, you will continue to make calls that are sexist, patriarchal, and racist. The way Serena defended herself though – on her baby she wasn’t going to be called a cheater! 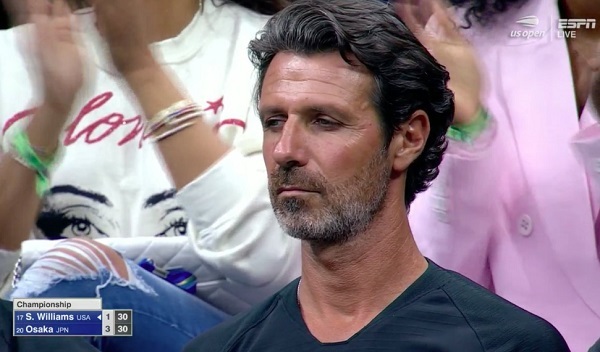 To his credit, her coach Patrick Mouratoglou was like “yes I was coaching,” which we already knew cause cameras. He added, “everyone does it”, with a shrug. Serena – if she saw him or not – also knew the culture, we all knew that. We’ve all spent years witnessing coaching on the court (so much so that I didn’t even know it wasn’t legal), as well as tantrums. It’s so important that everyone has the right to express righteous rage, to stand up for themselves. Serena has transformed her rage into some of the most incredible victories of all sports anywhere. She could have done that here, given a fair chance. Or lost on her own limitations. White supremacy decides when to enforce the rules, and who will pay the price. 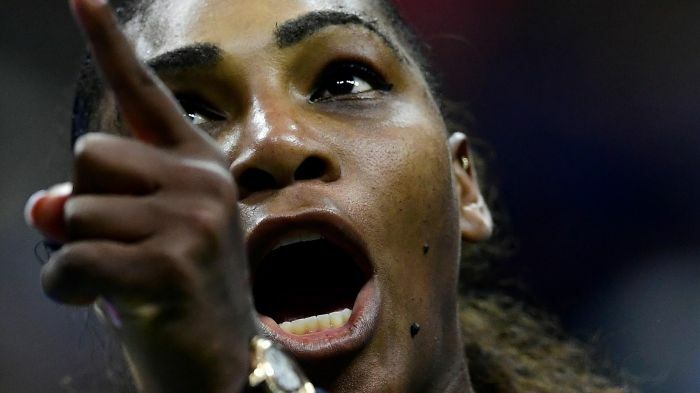 Serena’s rage, it ached to witness. It wasn’t fair to her. It wasn’t fair to Osaka – she was heading to victory without this drama.